As NASA prepares for the next generation of space launch systems to carry astronauts into space and onto the surface of Mars by 2030, it is not just space launch vehicles, but also outdated and aging ground control and launch support systems that need to be upgraded. 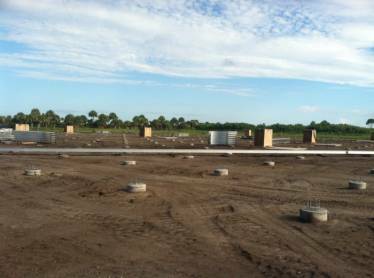 In late 2013 NASA moved to replace the 50 megahertz Doppler Radar Wind Profiler (DRWP) at the Kennedy Space Center. Originally built in the 1980’s, the DRWP is used to warn launch control of potentially dangerous wind conditions that could jeopardize a launch. 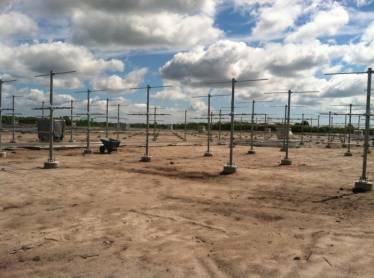 The project consisted of removing the outdated wire dipole antennas and replacing them with 3.7 acres of staggered antenna arrays mounted in concrete tubular footings. With our history of supplying government and military projects, the project contractor came directly to Portland Bolt. 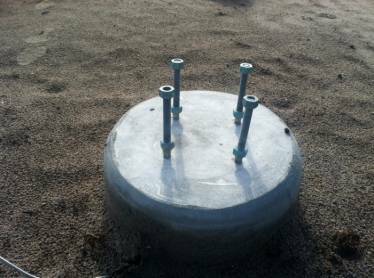 They knew that they could rely on our experienced sales staff to provide the correct anchor bolts required, ensure that all materials would be domestic and have full certifications, and that everything would arrive on time and as promised. In just over two weeks’ time Portland Bolt was able to manufacture over 2,500 galvanized ASTM F1554 bent anchor bolts and ship them directly to the contractor. Portland Bolt’s in-house hot dip galvanizing line gave us the ability to manufacture the order quickly while still ensuring the thread quality, thus avoiding any potential for costly delays due to poor thread fit. Want to ensure that the bolts for your next project are correct and on time? Contact us today and we can help you get the right product for your job in your hands when you need it!